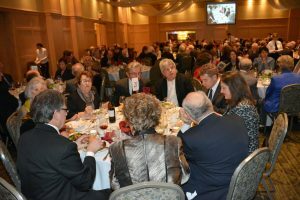 On December 1 a long-awaited banquet in support of the Ukrainian Catholic University (UCU) was held in Toronto. 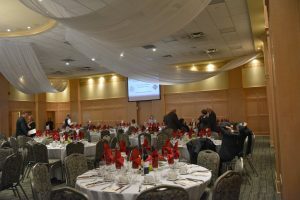 That evening more than 200 people gathered under the motto “Strive for the Bright and the Great,” to celebrate with ceremony the 10th anniversary of the work of the Ukrainian Catholic Education Foundation in Canada and to mark the 50th anniversary of the establishment of the Ukrainian Catholic University by Patriarch Josyf Slipyj. 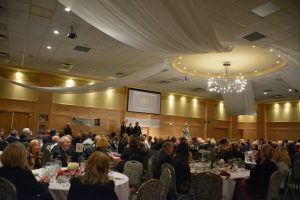 For the first time the newly-elected Rector of UCU, Father Bohdan Prach, PhD, addressed the Toronto community. 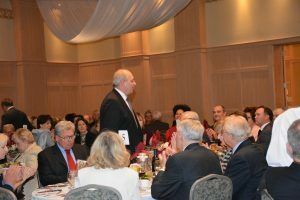 With detail and sincerity he shared the university’s most recent accomplishments and plans for growth. Another special guest was UCU’s Vice Rector for Educational Work, Dr. Pavlo Khobzey, who spoke about the university’s past and future in the Ukrainian and world context. It was also a pleasure to host Fr. 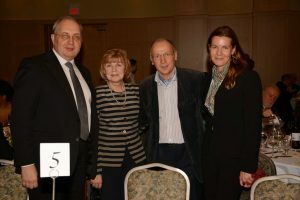 Taras Barshchevskyi, who is conducting scholarly research in Toronto. He shared his accomplishments with the community in open lectures. 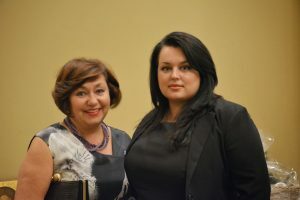 The Ukrainian community of Toronto, and in Canada in general, has with its donations supported the university for more than 10 years and gives an excellent example to follow. 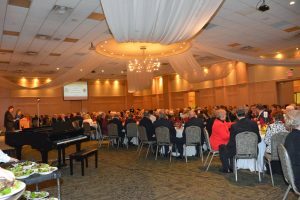 Dr. Jurij Darewych, one of the directors of the foundation, spoke about the foundation’s brief history during a presentation in which he presented the Ukrainian Catholic Education Foundation’s largest benefactors. 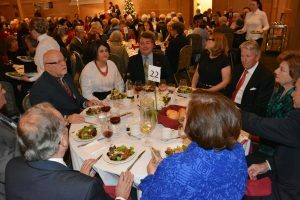 The evening had a friendly atmosphere with people united by a common idea and a desire to bring about change, where each was involved as he was able. And be assured that even a “widow’s mite” donated this evening will be crucial in a great effort! The Ukrainian Catholic Education Foundation thanks the Banquet Committee, which includes noted and honored people of the community: Dr. Jurij Darewych, Danya Chuma, Marichka Galadza, Uliana Hucal, Olya Kalymon, Ihor Komarnicky, Oksana Loza, Tania Melnyk, Iryna Patten, Luda Pawliw, Renata Roman, Halyna Rudavska, Maria Szkambara, Anya Yablonska; and staff of the UCEF: Lada Darewych, Oleg Vodoviz, and Alexander Kuzma. 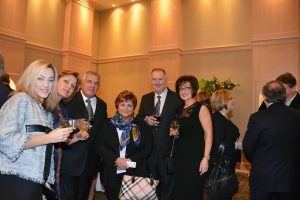 Friends of UCU ($2,500) –Jurij and Daria Darewych and family, Plast Toronto, Tania Melnyk and family, Olga Nahirnyj, Eugene & Renata M. Roman, and Halyna Rudavska. 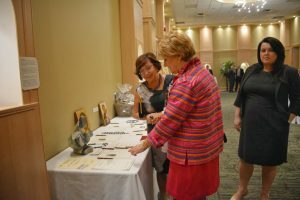 Artists and businesses donated the items for the silent auction, which made a profit of $2,680. 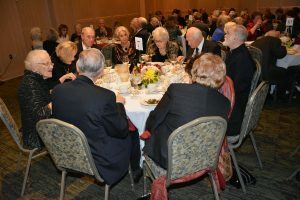 More than $100,000 was donated and pledged in support of scholarships and programs of the university from numerous donors in sums from $50 to $50,000. 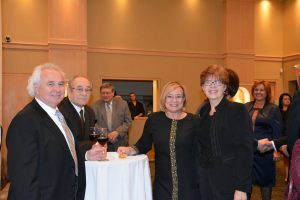 And the following volunteers enriched our evening even more: the Chervoni Maky trio, Marichka Melnyk, and Eugene Roman. This great level of success confirms that the development of the university is especially relevant now, when the results of its work are already visible, including changes in the younger generation. We encourage all to further cooperation. The community is responding to the needs of the university and truly believes in UCU’s mission and the people who work there.